I've come to the realization that when it comes to relationships or dating in general, I just don't give a hoot. On Facebook, I'm constantly seeing statuses change left and right as they slowly (or in many cases, quickly) move from single to dating to engaged to married. The most recent being my cousin, who is now engaged. Now, I am thrilled for all these people and wish them the happiest life imaginable. But the idea of 20-year-old me being married, or even getting hitched by the time I'm 25, makes me cringe. I want to explore the world on my own. 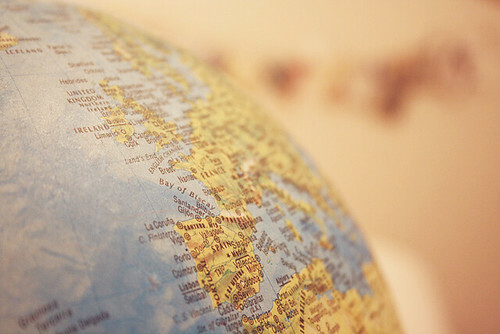 I want to travel to far and distant places. I want a small place one day that is home to me and my Mastiff. I want to focus on a career and figuring out what I want to do with my life, who I want to be. I realize some people do all this while they are married, and with flying colors no less. But I don't see that happening to me. Perhaps that's because I've never actually been myself in past relationships. But who knows. Also, you know the girls that notice every single attractive guy? Whose mouths drool over every handsome guy that looks her way? I'm not one of those people. I don't waste my time giving attention and boosting the ego of a man that is probably either 1. an a-hole or 2. dumb as a rock. This may sound shallow, but after the relationships I've been through, I've learned it's better to not swoon over a guy you don't even know. Just because a man is gorgeous doesn't mean he deserves having a woman bow down to him like he is some sort of Greek god. Instead, I am much happier and content focusing on my life. I have too many things I want to accomplish. Too many places I want to go, things I want to see. And I've become quite content on the idea of never being married. Sure this opinion will probably one day change, but for now I'm sticking with it. Why be weighed down with unnecessary stress when I already have enough of my own? And for what? A guy to tell me how wonderful I am? I don't need him confirming it for me.